Successfully running an online business requires the right technology to make everything from your website to your order fulfillment process run smoothly. Before the rise of sophisticated technologies, working with a third-party logistics (3PL) provider consisted of manually sending orders before a cut-off time each day. Retailers today rely on tech-based 3PLs to offer speed and convenience to customers, which, in turn, helps them stand out in an increasingly competitive marketplace. In addition to traditional services such as warehousing, picking, packing, and shipping, the modern e-commerce business needs a fulfillment solution that also automates the process. Read on to learn how technology is a critical component of order fulfillment. Tech-based 3PLs offer software that seamlessly integrates with all major e-commerce platforms and marketplaces. In a couple of clicks, with no technical know-how or developer work needed, you can connect your systems. This streamlines the flow of information to save you time and reduce the likelihood of typos (which often lead to greater returns, exchanges, replacements, and expedited shipping). Connecting multiple data sources provides a cohesive view of orders, inventory, fulfillment centers, sales channels, and customers in one place. As soon as an order is placed on your store, the 3PL’s software automatically selects the warehouse with your inventory that can send the order to your customer in the most efficient and cost-effective manner. Warehouse staff are immediately alerted to begin picking, packing, and shipping items in real-time. The same technology is used at the fulfillment center to send critical information back to the merchant. As a result, you have direct visibility into the 3PL’s accuracy rate. Even though you’re not physically there, you can view inventory levels at each warehouse, shipping status of each package, and other critical details at any time. By incorporating technology into the fulfillment process, you can view the history and status of every order as it moves from picking to packing and shipping. Each step is documented in real-time to help with transparency in service. If a customer has questions about their order, you can quickly and confidently answer them with the most up-to-date information. Out-of-the-box metrics – such as peak fulfillment times, revenue of orders shipped by day, sales by channel, and sales and quantity of orders by USPS zone – help you understand your performance. Once you know purchasing trends, you can see which products aren’t selling but are costing you money for warehouse space, and make better supply chain decisions. In addition to gaining visibility into current inventory levels at each fulfillment center, you can also get recommendations to inform future inventory-related decisions. Tech-based fulfillment uses historical data to help project when you should reorder inventory to prevent stockouts. By connecting the upstream activities of purchasing and manufacturing to the downstream activities of sales and product demand, you can ultimately make more accurate purchasing and production decisions. E-commerce giants have set the standard for fast deliveries, and customers have come to expect nothing less. Optimizing where you store and ship out inventory can help you meet these expectations. A tech-based fulfillment solution will aggregate and analyze data for you to determine how you should split products across fulfillment center locations. Being able to warehouse inventory close to your customers helps you save on shipping costs and time in transit. If you strategically distribute your inventory to several warehouses, the technology automatically selects the facility closest to the shipping address to fulfill the order. The less distance or shipping zones the package has to move, the greater the ability you have to provide two-day deliveries. Tech-based fulfillment can help you create a seamless customer experience and grow your e-commerce business. This is done by combining warehousing and fulfillment services with software that includes inventory management, customer communication, analytics, and integrations with all of the major e-commerce platforms. If you’re looking to connect your online store with a tech-based fulfillment provider, check out ShipBob. Dhruv Saxena is the CEO of ShipBob, where he focuses on the technology that streamlines shipping and fulfillment for e-commerce businesses. 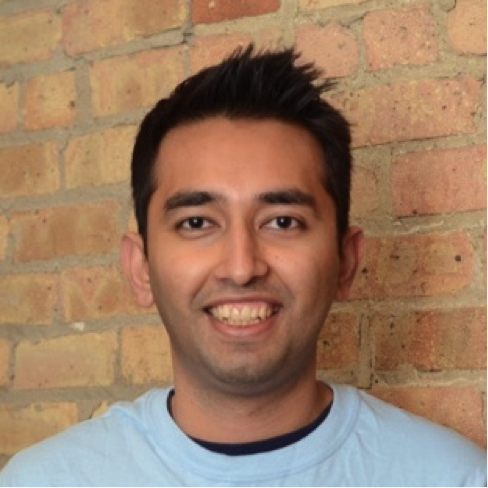 He co-founded ShipBob in May 2014 with Divey Gulati, out of Y Combinator.